The sun has shown its face in Warsaw, Indiana this week. 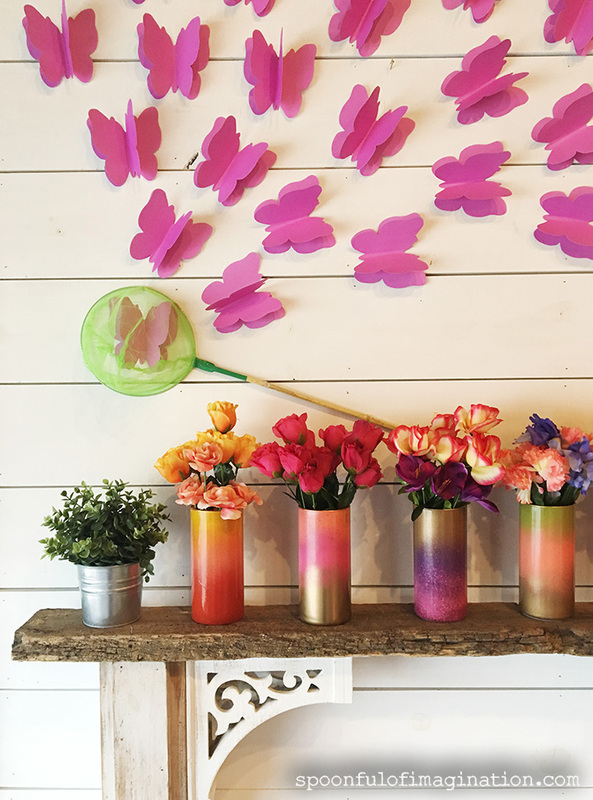 It’s making us want to pull out the flip flops and replace all the winter decor with spring and colorful creations. As a kid, I think I might have wanted to be a teacher just so I could make the fun bulletin boards. 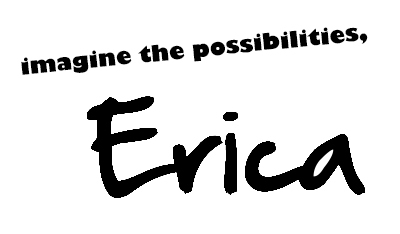 Now, I have my chance at our art studio. I love changing out the mantel. After the sun this week, I took the winter trees down and needed a fun, inexpensive, spring idea to replace them. I came up with these butterflies. What’s cheap? 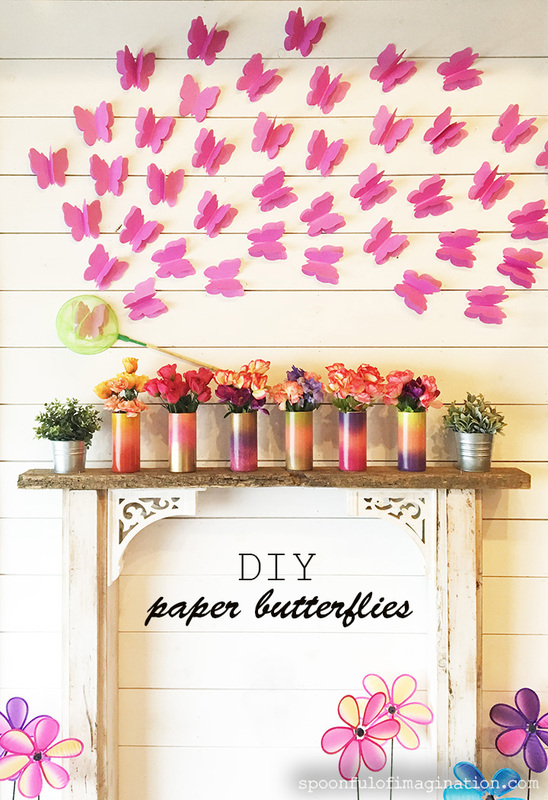 Paper can be the most inexpensive way to decorate. 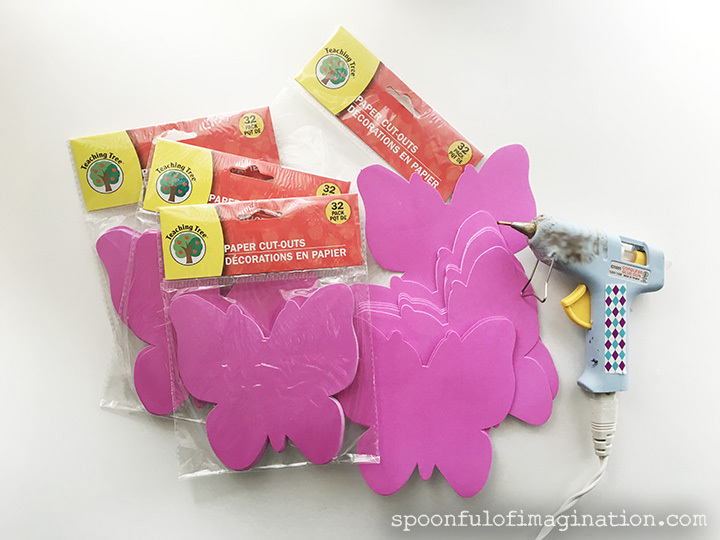 I saw these butterflies in the school section of my local Dollar Tree. I snatched up several bags as soon as I saw them. An idea clicked, and luckily they had the butterfly net in stock too for my idea. They had other animals as well! If you don’t have a Dollar Tree, I’m sure any local store that sells school supplies may have something similar. 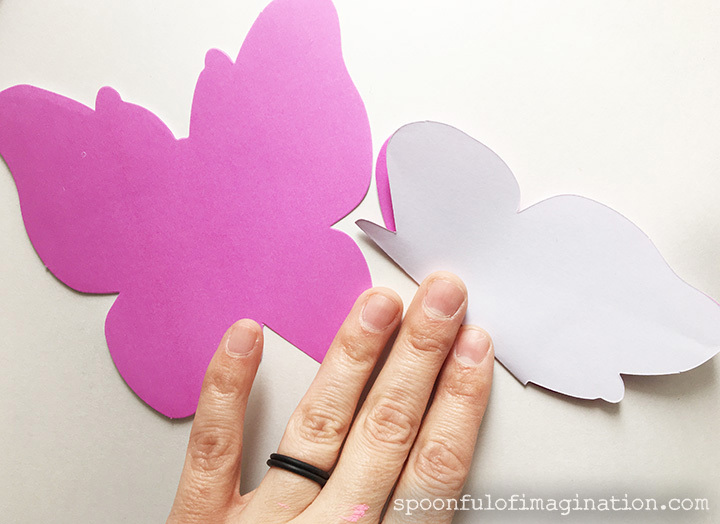 For every one of my butterflies, it took two pieces of paper. 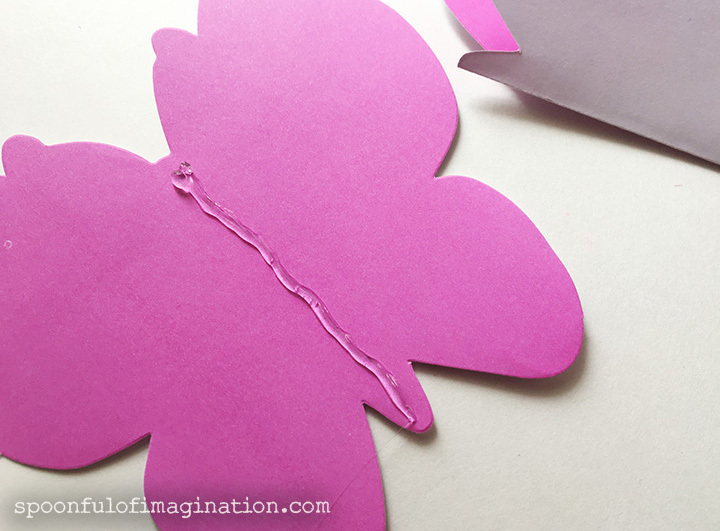 I simply folded one butterfly in half, placed a little hot glue on another butterfly down it’s center, and then pressed the folded butterfly into the glue on the fold line. Check out these pictures to see what I mean. That was it! I just used a little tape to put the butterflies in place on my wall. These were so simple to make. 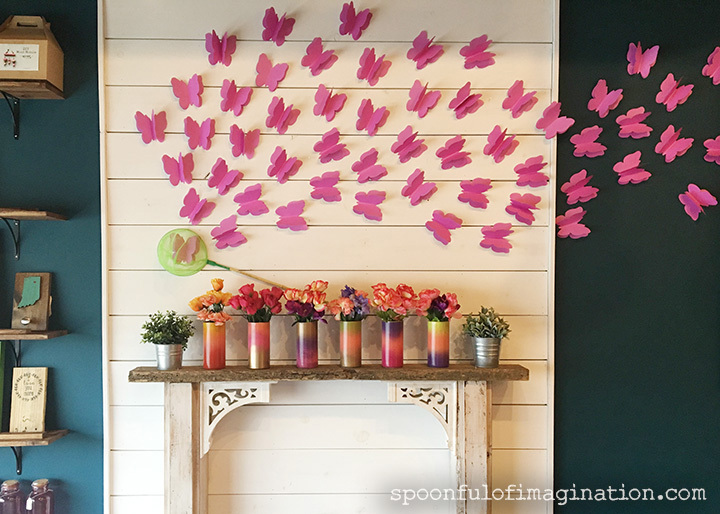 If you don’t want the butterflies flying off your mantel like I did, you could use this technique to make a wreath, a card, a garland, or even as a party decoration. 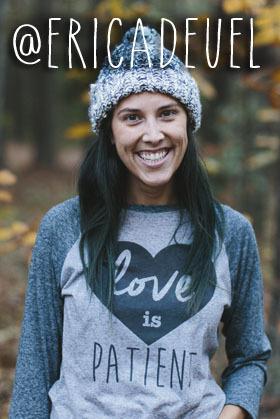 Are you ready for spring too!? Maybe you live more in the south and it’s already spring where you live. 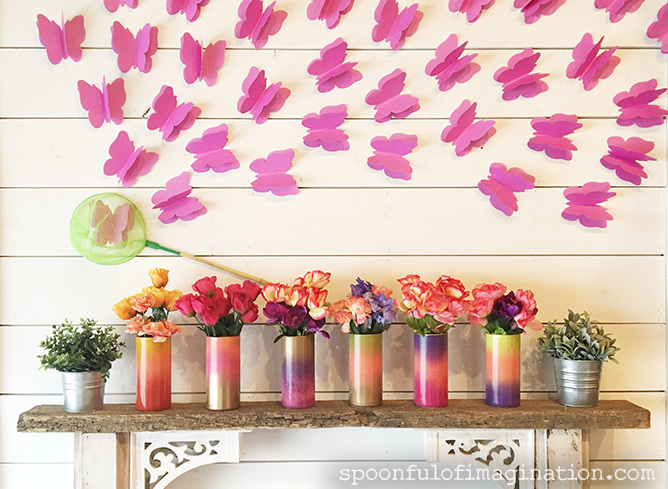 Have you pulled out spring decor?? 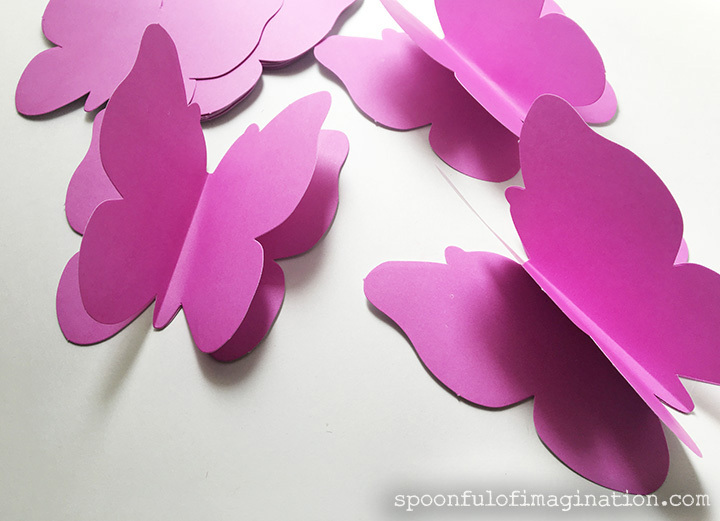 These paper butterflies were so cheap. 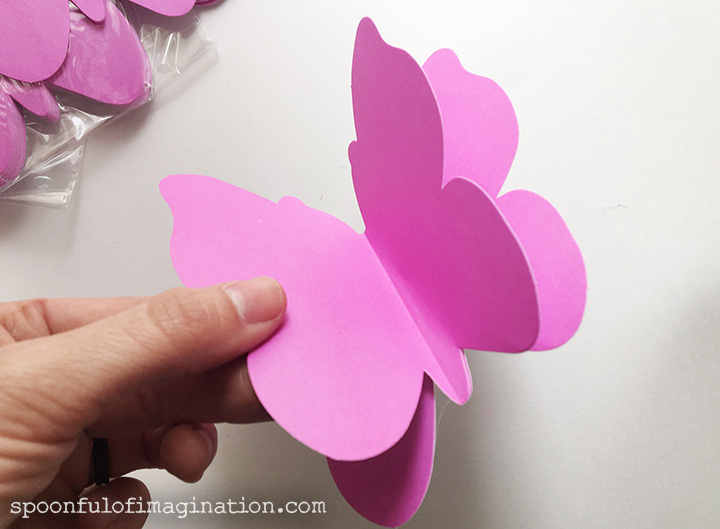 The project could even be cheaper if you hand cut butterflies or have a die cut machine of your own. For me, I don’t have a machine and 32 butterflies for a $1 was so worth it.